Our town has a bustling Main Street thanks to smart investments by the city council and willing businessmen and women. Shops serve basic needs: hair styling, hardware, groceries, fuel and insurance. There are plenty of restaurants. The newspaper is located off Main Street at the only four-way traffic light in town. The library and medical clinic are down the hill. New construction is building capacity for shops and I hope the city welcomes entrepreneurs who give it a go. 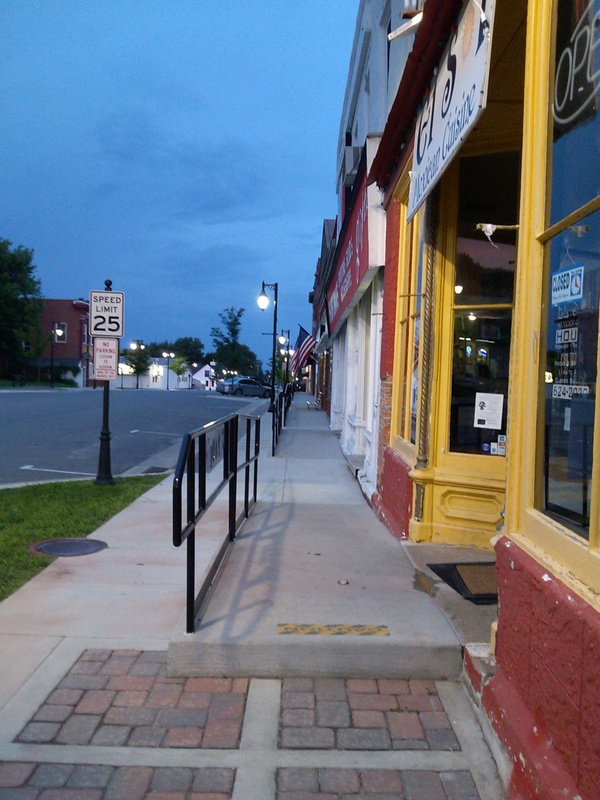 Solon’s downtown seems idyllic: a place to forget about the rest of the world for a while. Many of us appreciate that aspect of living here. At the same time, the Solon area also serves as a bedroom community for lives elsewhere. During 24 years our family lived here I’ve worked in Cedar Rapids, Coralville, the Quad Cities, Iowa City and North Liberty. I’ve travelled to 40 of the 50 states and to Canada on business and on holiday. We bought our first home computer in 1996 when we connected to the World Wide Web. All of this is to say despite our idyllic setting we live in a much broader world. Protecting what we value in society falls on each of us whether it is public safety on our roads or doing something about the genocide in Myanmar. There is something to work on for each of us and Solon makes the perfect base camp for us to make a difference. We should make a difference. This entry was posted in Social Commentary and tagged Solon, sustainability, Writing. Bookmark the permalink.